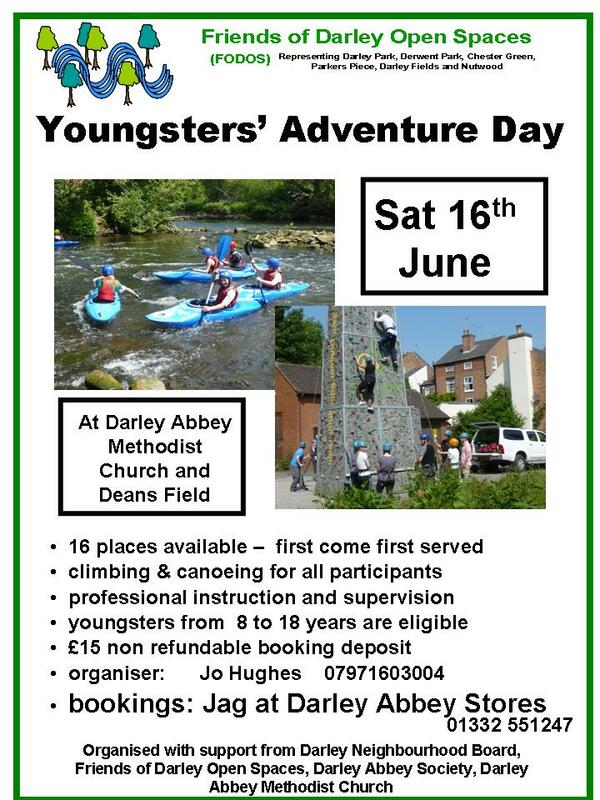 There is a youngsters’ adventure day on Sat 16th June at Darley Abbey Methodist Church and Deans Field. Click the poster on the left for more details! Apply For More Free Flowers! Over the last year the Residents Association has been managing a project for residents of Little Chester to be given plants to brighten the public view of our lovely area. The grant that was obtaind from the council has nearly been used up, but the good news is that there is still a little bit left. The areas of Marcus Street, around the Community Centre, parts of Chester Green Road and Camp Street have all looked great. If you want to grow (sorry for the pun) on these great innitiatives, contact me and we’ll see what we can do with the money that is left.